I’ve been back on Slimming World for a week now and so far I’ve lost 2lbs. Not loads but a loss and its a step in the right direction. I find doing a meal plan really helped to keep me focused and helped me to make good choices. It also helped me to choose meals that we would all enjoy as a family rather than rushing at the last minute and cooking two meals, one for Harry and another for Alistair and I. This week I’m going to increase the amount of ‘speed’ food that I’m eating. Harry loves veggies and fruit so this will be a hit with him too I’m sure! 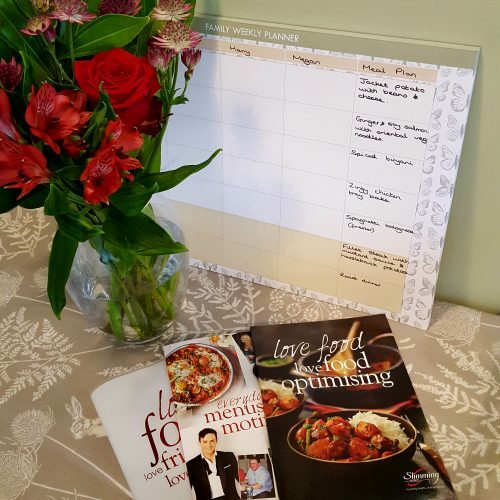 We’ve still been eating as a family and have loved how the recipes are suitable for all ages. They’re really tasty too! Here’s a few of our favourite meals from this week! 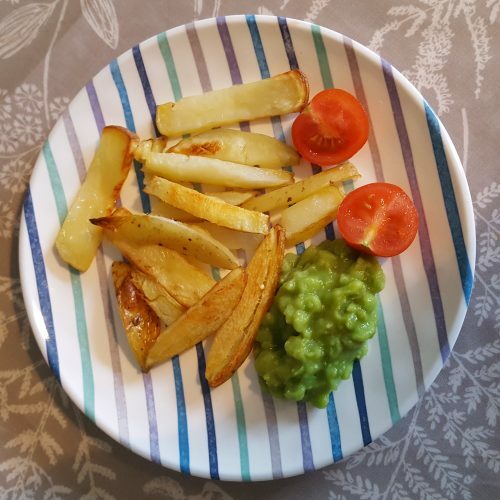 Homemade chips and mushy peas! My favourite Simming World snack! 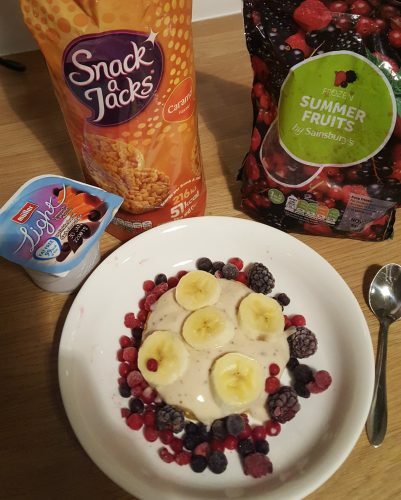 Snack a jacks caramel (2.5 syns each) low fat yoghurt and berries! So, on to this week’s meal plan! Again, I’m just going to plan our evening meals. 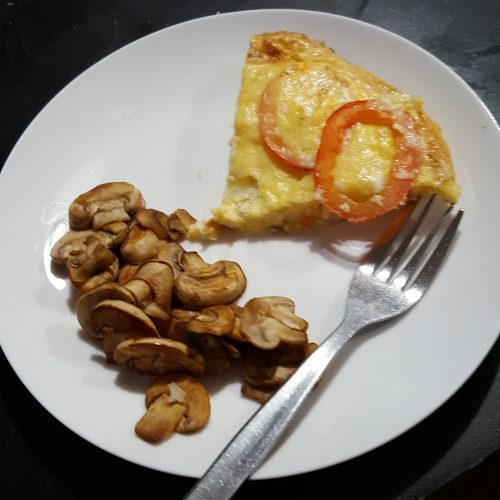 I’ll do a separate post in a few weeks time with my favourite lunches, breakfasts and snacks so they don’t get lost in a meal plan post. Spaghetti bolognese. I made this last week and there was loads so I froze a batch for this week! I had planned to do a Friday fake away each week but it’s much easier to do on a Saturday when I have more time to cook. Roast dinner – I planned on doing a roast dinner last Sunday but because I went out on Saturday we didn’t do it, we had Saturday’s meal instead. Here’s our meal plan from last week? Do you meal plan? Do you find it helps you stick to a healthy diet? I’d love to hear what works for different people! 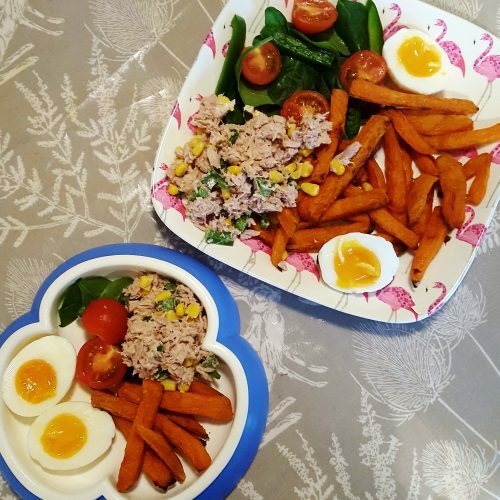 My 2 year old is very fussy so I have a two week meal plan which we just repeat again and again. 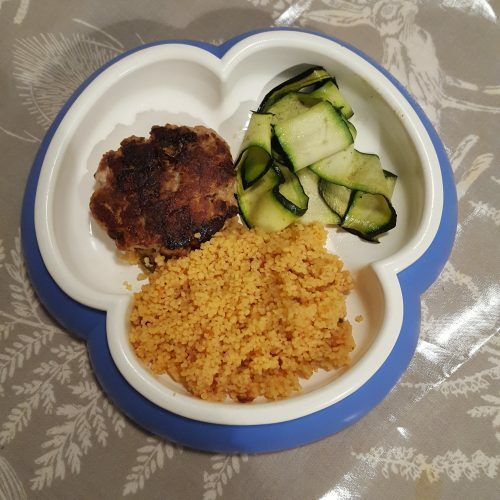 In particular she hates firm chunks of veg and always leaves them, so the slow cooker has been a godsend – everything is cooked until its very soft so she can’t even tell she has a chunk of carrot in her mouth! I also have a 3 month old baby, he was due same week as Megan but she was early and he was late so they’re almost a month apart. He cannot wait to start on solids, he watches intently as everyone eats and tries to grab the food himself! My first couldn’t have cared less! Aww what a great idea to use the slow cooker! Megan is only just showing an interest in watching us eat but still doesn’t seem fussed about wanting to try it herself. Harry was already grabbing for things at this age! You’re right, they’re all so different. I’m so interested to see what weaning journey Megan takes as we are going to follow her lead. Do you know what type of weaning you’re going to try yet? We basically did baby led with Hattie ie. let her do it herself, but we did also spoon feed some things (messy things) so we weren’t too strict. It worked well for her so we’ll start off that way but if Aubrey wants things done a different way we will follow his lead. Looking forward to seeing how Megan gets on!